Win a Copy of Lost Boy: The True Story of Captain Hook! Do you love the story of Peter Pan? 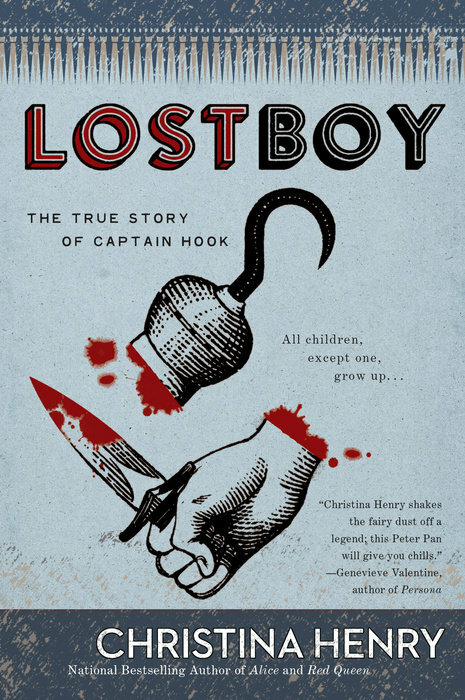 Did our review of Lost Boy: The True Story of Captain Hook get you intrigued? Then this giveaway is for you—we’re giving away a free copy of Christina Henry’s new book to one lucky reader! To enter, all of you have to do is follow @TwinCitiesGeeks on Twitter and tweet us by 5:00 p.m. Central time on Thursday, July 6, naming your favorite character from any Peter Pan story. We’ll randomly choose 1 person who will win their own copy of the book. So whether it’s Wendy Darling from the original play or Rufio from the movie Hook, let us know who you love the most! Peter promised we would all be young and happy forever. Peter lies. No purchase necessary. Total number of prizes to be given away is 1 (retail value $15). Any other expenses incurred as a result of winning this prize, including income taxes, are the sole responsibility of the winner. Fulfillment is courtesy of Penguin Random House; prize shipping address must be within the United States. How to Enter: Follow Twin Cities Geek on Twitter (http://twitter.com/TwinCitiesGeeks) and mention @TwinCitiesGeeks in a tweet naming your favorite character in the Peter Pan universe. Only one tweet from each Twitter account will be counted. Selection and Notification of Winner: Each eligible entry will be assigned a number in ascending order based on the order in which the tweets were posted. A number will then be chosen by means of a random number generator, and the user who posted the tweet corresponding to that number will be deemed the winner. Odds of winning are dependent on the number of entries received. If Twin Cities Geek is unable to reach a winner within 48 hours of selection, or if a winner is ineligible or otherwise unable to accept their prize, then the above process will be repeated until the prize is successfully awarded. Eligibility: One entry per person. Void where prohibited by law. In order for an entry to be counted, the tweet must be posted by 5:00 p.m. Central time on July 6, 2017; the tweet must follow the giveaway prompt as described above; and the account posting the tweet must be following @TwinCitiesGeeks. Current Twin Cities Geek contributors and editors are not eligible for entry.